Where is the best seafood restaurant Naples Florida has to offer? It’s USS Nemo, where you can be seated and enjoy beautifully plated seafood in a relaxing environment. One of Nemo’s signature dishes, the Miso broiled sea bass, is tasty and amazing cuisine served in unique environment for your dining pleasure. A creative decor with port holes and sea life makes this restaurant in Naples Florida come alive. Make your reservations online, collaborate your events or small business parties offering different options USS Nemo, will help and set up arrangements. USS Nemo menus offer a great selection while chefs prepare exquisite meals with keeping the natural flavor of the seafood. Nemos has a variety of unique wines to enjoy while dining, from Artisan Sakés an imported wine from Japan, along with domestic wines from the US. And while relaxing enjoy one of the finest cocktails USS Nemo Restaurant offers, like a Sake Martini, Sake Colada, Margarita or maybe a non alcoholic drink with fresh Juice. 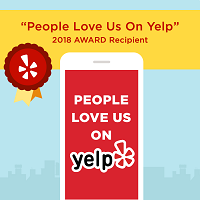 With diverse and talented chefs, and restaurant owners, USS Nemo Restaurant has received awards from Florida Trend best 500 restaurants, AAA recommended, Tripadvisor and many more. USS Nemo Restaurant is one of the best seafood restaurants in the heart of Naples, Fl. The beautiful outdoor seating and pristine decor can make a candlelit dinner everything you can think of. Restaurants Naples Florida offer courteous servers and amazing atmosphere around. USS Nemo Restaurant will truly make your evening a delight and memorable one. The amazing amount of seafood restaurants in Naples, Fl would surprise some. Variety and wonderful taste of the food starting with the Alaskan King Crab with sesame seeds-black pepper butter moving onto the macadamia nut encrusted Mahi-Mahi, the incredible flavor burst with every bite is sure to win you over when looking for Seafood Restaurants in Naples FL. USS Nemo seafood restaurant stands up to the flavor and atmosphere anyone would enjoy. Nice weather, tourism and the beaches attract people to this area, including fine dining in impressive Naples Fl restaurants. The local artists of the area give Naples the creative base for the area Seafood Restaurants Naples FL to succeed and grow. The dining scene in Naples Florida restaurants is as energizing, diverse and often showcases locally grown and harvested fresh vegetables and seafood. The chefs at USS Nemo Restaurant are accomplished chefs and acclaimed are known for raising the bar with their advanced creations. When looking for the best restaurants in Naples Florida, USS Nemo Restaurant offers dining experience with a sea environment with seafood and unique drinks to accommodate the atmosphere of southwest Florida.